Wendy Schiffman has been with The Chicago School since 2003, initially as program faculty in the Department of Forensic Psychology where she served as the Associate Chair for 5 years. She is currently the Director of the National Center for Teaching and Learning where she oversees faculty development initiatives for the institution. 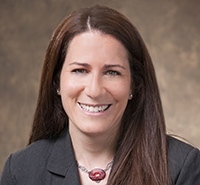 Prior to joining The Chicago School, Dr. Schiffman worked for Northwestern University conducting juvenile justice and child protection evaluations at Cook County Juvenile Court Clinic. She also worked for the University of Massachusetts Medical School, where she conducted forensic evaluations at Bridgewater State Hospital. Furthermore, Dr. Schiffman was a fellow and subsequent instructor in psychology at Harvard University Medical School, where she conducted forensic evaluations at Boston Juvenile Court Clinic and the Law and Psychiatry Service. Her areas of clinical interest and expertise include: divorce mediation, competency to stand trial, aid-in-sentencing, and child custody evaluations. Dr. Schiffman received a Psy.D. from the Illinois School of Professional Psychology.